First, a definition. Shorts are a bifurcated garment worn by men and women and boys and girls that begin at the waist and end at or above the knee. Wait a moment! Bifurcated? That sounds almost obscene. Here is a more simple definition. Shorts are a shortened version of long pants. That’s it. So who invented them? Well, first we have to look at who invented clothing. Eve replied, ‘This old thing? I’ve had this fig leaf forever. I have to find something new to wear.’ So she collected a bunch of reeds and fashioned a skirt which later became very popular in Hawaii. Eve looked so fetching that may have been when all that begetting began. You know, Cain, Abel, etc., etc. Although I prefer that explanation, there is an alternative version of when clothing evolved. Let’s look at our ancestors after the Ice Age about 170,000 years ago. In the beginning they ran around wearing nothing but lots of coarse, shaggy hair. Then Grogg – remember him from the ‘World’s Oldest Interviewer’ and ‘Speech Writer’ – discovered that the furry skin of the mammoth made a warm, comfortable covering. In time, these greasy, smelly skins evolved into more practical clothing like shirts and pants and shorts. How do I know it was about 170,000 years ago? Thank you for asking. A new study, published in the Molecular Biology and Evolution journal, explains that the evidence comes from parasites – lice, to be exact. Scientists, using DNA sequencing, tracked when head lice evolved into clothing/body lice and that occurred around 170,000 years ago. So lice have been with us since clothing was invented. 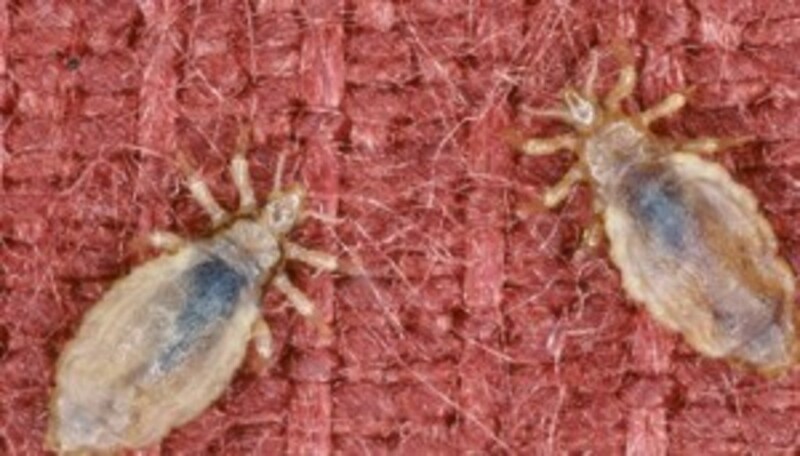 FYI: Fully developed lice are grayish white, have 6 legs, and are the size of a sesame seed. It all started with short knee pants. Purchased by mamas and papas and aunts. 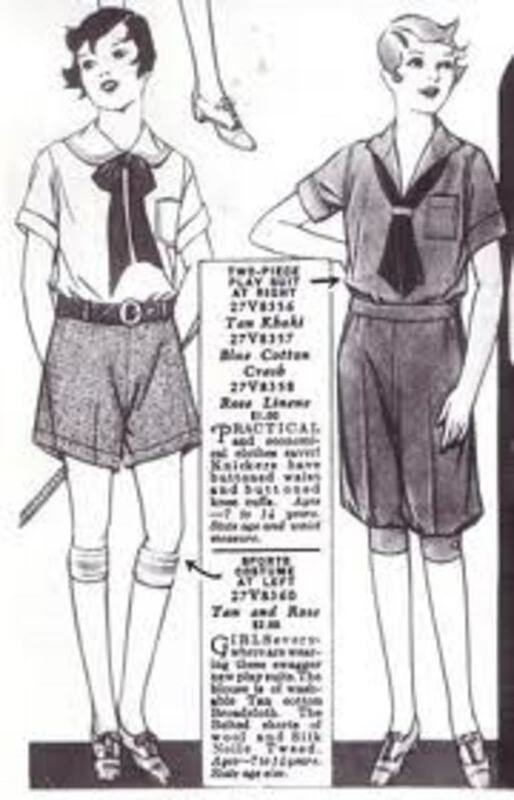 Knickerbockers was what we called boys’ shorts. Most boys wore them for school and for sports. And promptly called them knickers. Guess how British folks responded to this? With derision, laughs, snorts and snickers. FYI: Knickers are the British equivalent of women’s underpants. The wearing of knickers on the golf course. For casual and athletic activity. In tropical climes during World War Two. To be worn everywhere by men … and women, too. How many types of shorts are there? Let me count the ways. 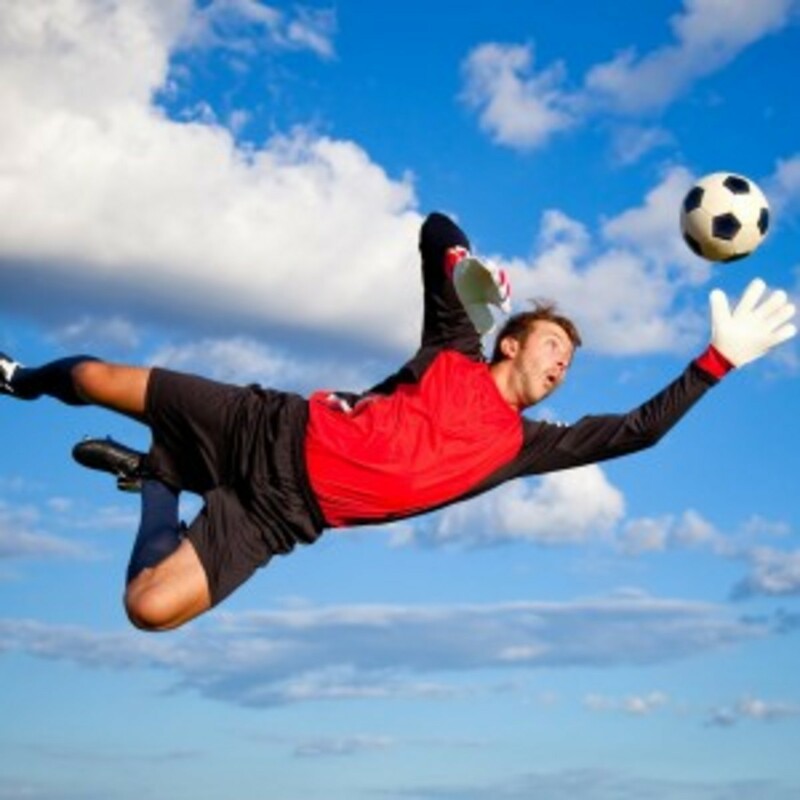 Were once standard for English soccer guys. But now baggies worldwide are on the rise. FYI:The West Bromwich Albion FC soccer team is nicknamed the Baggies because their team used to wear very baggy shorts. Are popular with men in Bermuda. But not so much for guys built like Buddha. They are swim trunks reaching below the knee. Since the ‘80s we call them ‘jams,’ you see. Short versions are called boxer briefs. Are ‘bun huggers,’ Oh my, good grief! Shorts with high heels can be glamorous. Want to create your own Cut-offs? Cut the legs off your worn jeans today. Although not hemmed and allowed to fray. From the ‘Dukes of Hazzard’ TV show. Jessica Simpson, on film not long ago. FYI: The cut-offs known as 'Daisy Dukes' refer to that character in the TV show, ‘The Dukes of Hazzard,’ played by actress, Catherine Bach(1979-1985). Actress Jessica Simpson played Daisy Dukes in the film, 'The Dukes of Hazzard' (2005). 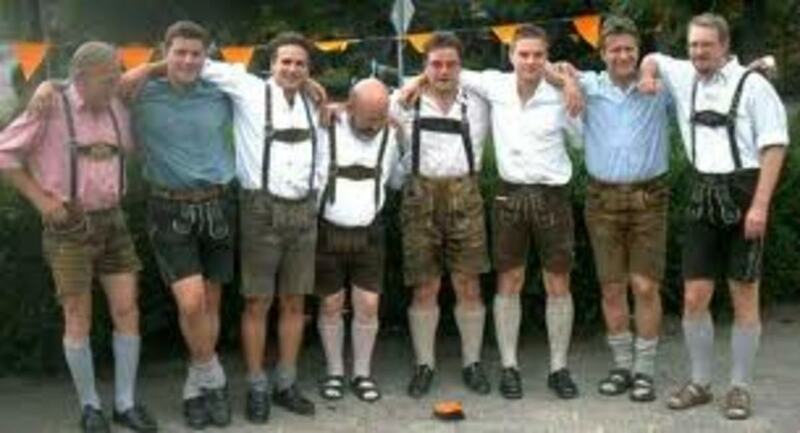 Three of the guys didn't get the email about wearing high socks with their lederhosen. I went to buy camouflage shorts and couldn't find any! Are created to be super skin tight. But with that fit, chafing they might incite. Bike shorts that are a little more loose. With inseam length of two inches or less. And launched them in London to great success. Worn with high socks in any weather. What are they made of you might ask? I thought you knew. They’re made of leather. Stitched to the outside with turn-down flaps. Are sometimes also called Flood pants. Worn in the country with the English Channel. By she or he or her or him. Convertible shorts! A great invention. They are long pants that zip off at the knee. Just zip the bottom back on – one, two, three. Loose-cut shorts is what they resemble. Skorts are shorts with fabric in the front. It looks like a skirt. Not coincidental. But most of all for sports. 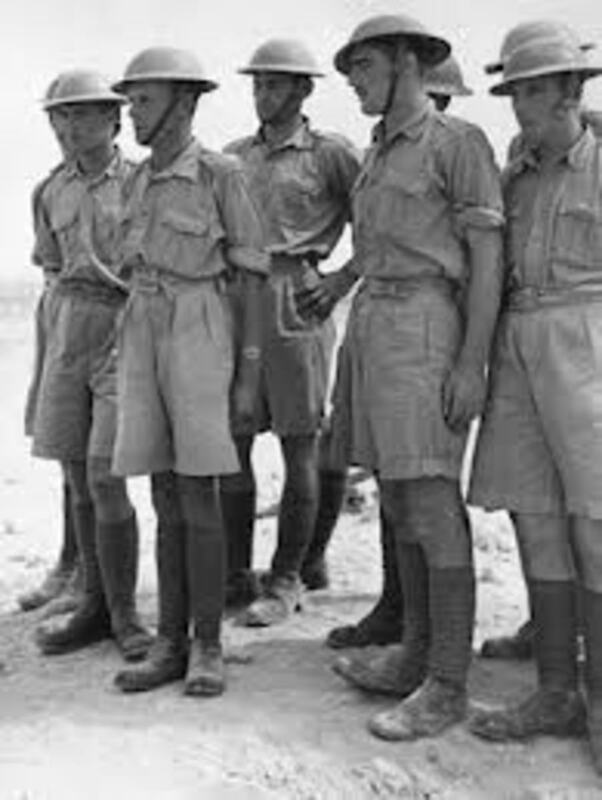 Don't wear shorts if you look like these guys! 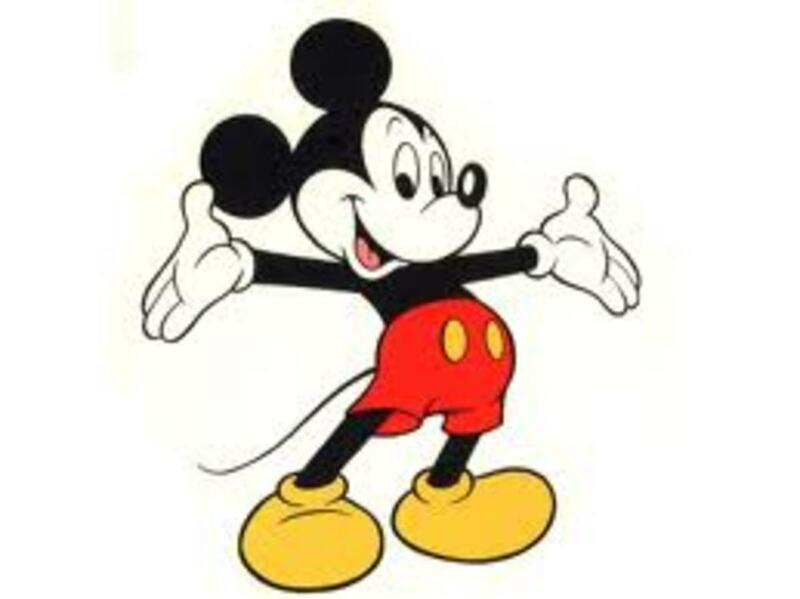 The word, shorts , also refers to short films so this hub is dedicated to my favorite short film hero, Mickey Mouse. Who also happens to wear bright red shorts! © Copyright BJ Rakow, Ph.D. 2012. All rights reserved. Author, "Much of What You Know about Job Search Just Ain't So." 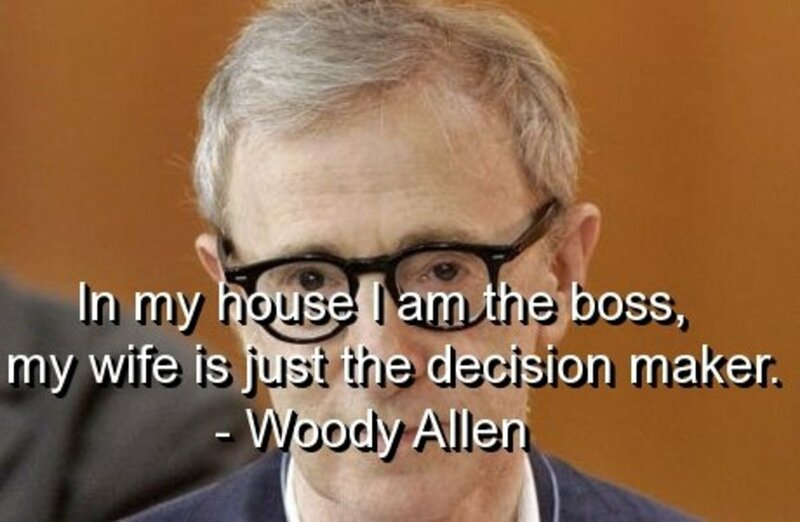 Thanks for finding this, Audrey. So happy you can relate to the various types of shorts. Would love to see photos of that wedding your daughter attended where the guests wore knickers. Thanks for loving the photos, etc., and for sharing. The laughs are one me, m'dear. Hi drbj - What a great hub on all the shorts in the history of time. I remember all in my time, especially hot pants. They were a little too revealing. I wore knickers that I made in the 80s and even wore them to work. My daughter was in a wedding where they wore knickers. Loved the photos and all the descriptions. Thanks for sharing and for the laughs at some of the clothes. Blessings, Audrey Will share. Wow, it's ages since I read and commented on this hub. I must have still been in short pants at the time, and couldn't write proper yet... "Shirts" and "hood". Very interesting and funny hub drbj. I have worn many a pair of shirts in my time, but now only at home or beach, or when playing sport. They don't look quite as hood as they once did. Must be the change of style...lol. I actually have a pair of convertibles in my wardrobe. Voted up. Nice to meet you, TarrinLupo. Thanks for the cool words and the kudos, to boot. What a cool topic, kudos. Smiles, chuckles, laughter, guffaws and the like are allowed by me, Scribenet, any time! Thank you! What a coincidence! That's what I always say when I learn something new, Scribenet. Who knew? And I adore your colossal comment commitment, m'luv. Okay...now I will never have to know one more thing about shorts. Who knew there was so much to know? A genius, Audrey? OMG, I haven't been called that by anyone since . . . I think it was breakfast! Heh, heh. You brought joy to me, m'dear, with your comments. Now arise from your bow . . . and kiss my ring. (Just foolin') Thank you for your sublime statements and your loyalty. Hugs and happiness backatcha. May your 4th and your life be glorious! I have spoken. I have long suspected that you, dear B.J. are a genius. After reading, laughing and giggling myself silly as I rode the highway to the History of Shorts and the truly OMG photos, there is not a shred of doubt - you are a genius. I bow to you, in all humility and thank you for the joy you bring to me. You are so amazing. What a lovely thing to say, KK Gals. You liked it so much you read it twice? Thank you, m'luv, you may return whenever you wish. All the little facts will still be here. Promise. I love this hub. The writing was superb and the picture were awesome. I like to so much I read it twice. I love all of those little facts you threw in. How nice to meet you, CelebrateUSA - love your choice of profile name. Thanks for finding this and appreciating my 'exceptional' research and photo compilation. And thanks, too, for the awesome and the Up vote. Voted up and awesome. Never knew all this - 170,000 years ago?! Oh, my the research you did and the photos you have compiled, truly exceptional. Yes, hot pants were an innovative invention and very eye-filling when worn by very slender but curvy attractive young women. I missed this. Very creative verse. I remember the first shorts I wore for gym at school which were like the bloomers my nan used to wear, but we won't go there. Lol. I loved strutting around in my hot pants. but now my shorts are longer to cover the wrinkly knees. I too remember those embarassing moments of the 80's and seeing more than I wanted to ugh! Thank you for visiting, Eddy, it is my pleasure to share. Hope your winter is not too cold. Happy you found this interesting, Sunnie. 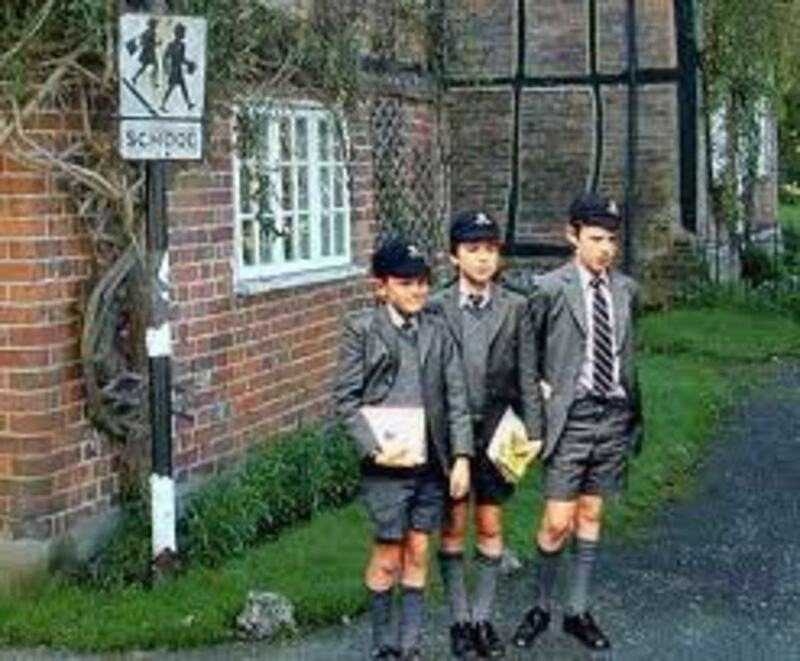 Yep, I remember the guys wearing shorts too short in the 80s . . . often revealing more than one would want to see. Thanks for the visit and the gracious comments, m'dear. You're most welcome. 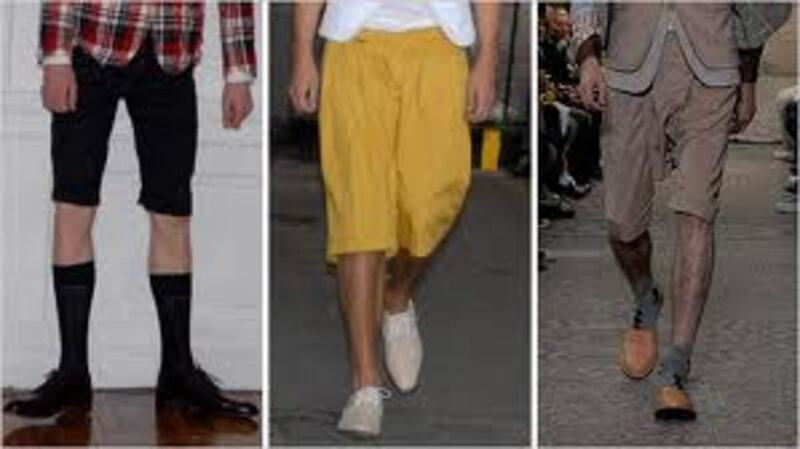 This was so interesting to learn about shorts...I pretty much like all the shorts except the 80's I think when men wore them really short and you had to close your eyes should they make a fast move...haha I love the convertible shorts...great for men or women. You did an excellent job with this hub..thank you!. I had so much fun reading this hub..Lots of good information however, your photos speak larger than words. Thanks for sharing all this information. And thanks heaps for sharing this on Facebook. Much appreciated, m'dear. Of course, Patty, I remember when Daisy Dukes were called Daisy Maes after the pretty character in Al Capp's wonderful comic strip, 'li'l Abner. Abner was the likable but naive guy that Daisy was always trying to capture. Remember Sadie Hawkins Day in Dogpatch (where they lived) where the gals could chase the guys? And General Bullmoose, the politician who always declared, 'What's good for General Bullmoose is good for the country.' Does that remind you of someone? You and I may be the only folks alive who remember all that fun. Thanks for the visit and finding this interesting. I shared your Hub on Facebook. Very interesting Hub! Do you remember when Daisy Dukes were first called Daisy Maes after the character in the old comic strip "Li'l' Abner"? We have a set of these comics in the Cartoon Library at Ohio State University. It was a really political cartoon about low-income Dogpatch residents and their moonshine stills and such. I'd bet most of the people that read these strips in the papers are deceased now. Hi, Docmo. Thank you for your appreciation of my shorts history. So you own bun huggers, cut-offs and cargo pants? You might be interested to know that on the original version of this hub I posted a great photo of a guy in bun huggers. But the huggers must have been too tight or the bun too . . . well, I had to remove it. Made someone on high very nervous I guess. I agree with your philosophical statement: 'Daisy Dukes on a suitable Daisy' are a work of art. Thanks for your sublime comments and the awesome, m'dear. 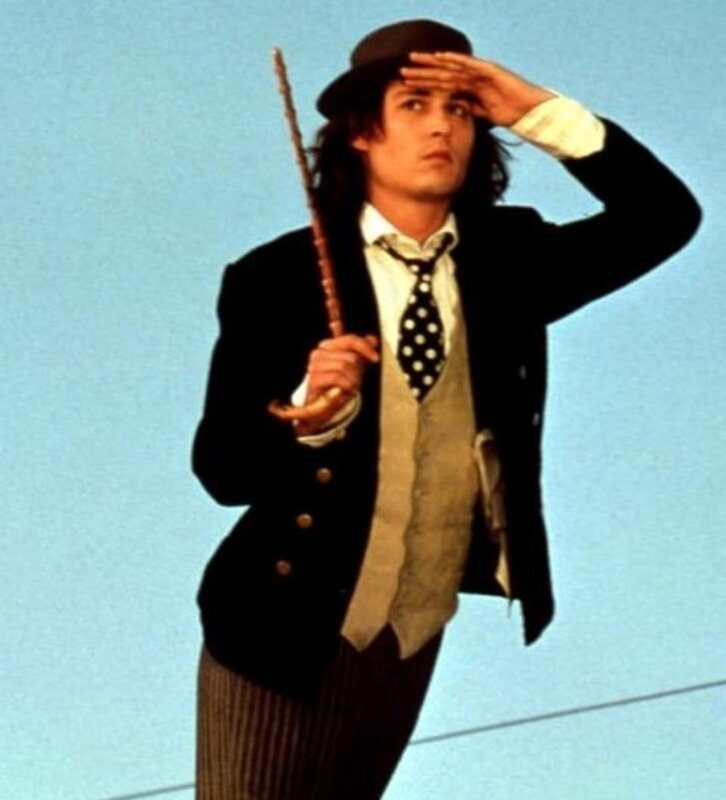 Hi, John. Thanks for your gracious comments. 'A unique way with words' just happens to be one of my favorite phrases. True! Hi, Wayne. I believe I may have reached the pinnacle of literary attainment by bifurcating your resistance to the wearing of shorts. Would love to see a photo of yourself so adorned particularly featuring your accompanying blazer with the family crest you described in such endearing terms. I agree. 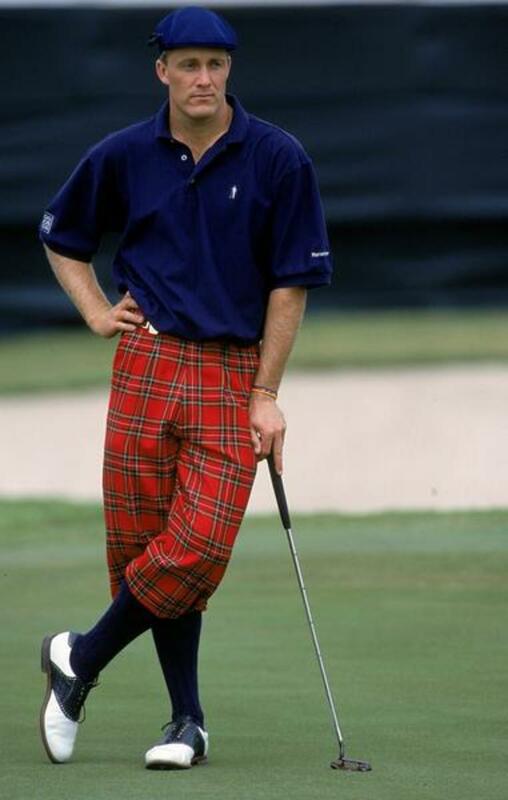 The Bermuda look would do you proud. But you must forego the pistol, holster and bandolier. Thanks for finding this interesting and the accolades. 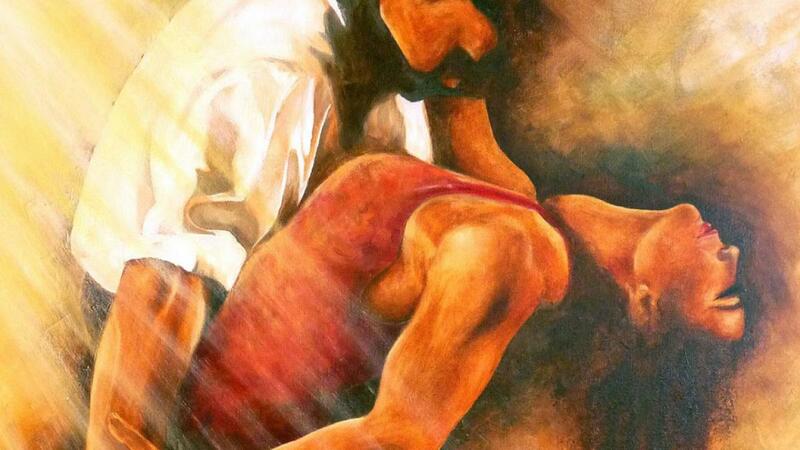 A rather 'brief' piece? You ARE too much! Hi, Susan. Wow, a face-off between watching your Saturday cartoons and reading my hub. And I won? Made my whole weekend, m'luv. I'll have to watch the Nair commercial referring to short shorts that you mentioned. Haven't noticed it but I must admit my brain often switches off automatically when commercials interrupt a program. Happy that you found this both fun and educational, and thanks for the birthday wishes. Hi, Thelma. 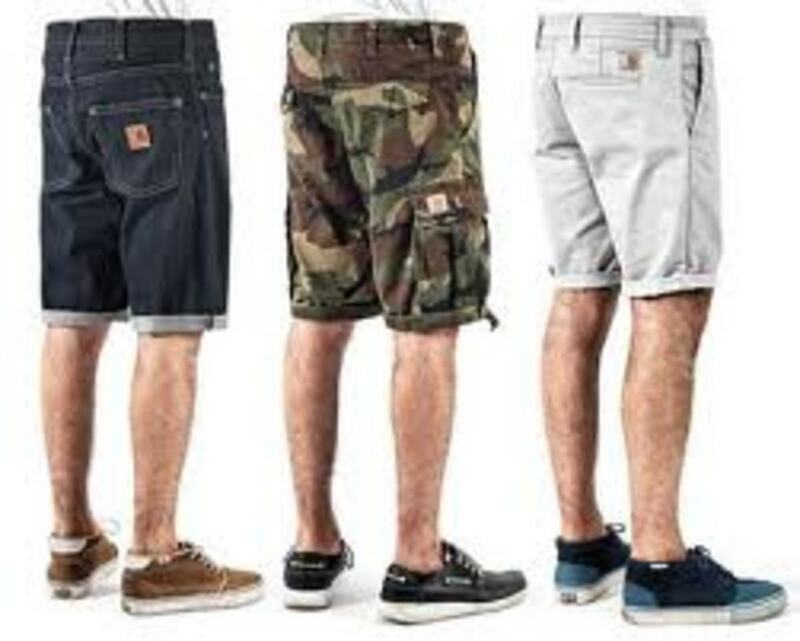 I, too, was astonished to learn how many different types of shorts existed. I knew you would get a kick out of the guys wearing knickers. Most Americans use that term quite innocently not knowing that it might mean something else across the pond. Delighted I made you laugh, m'dear, one of my favorite pursuits. 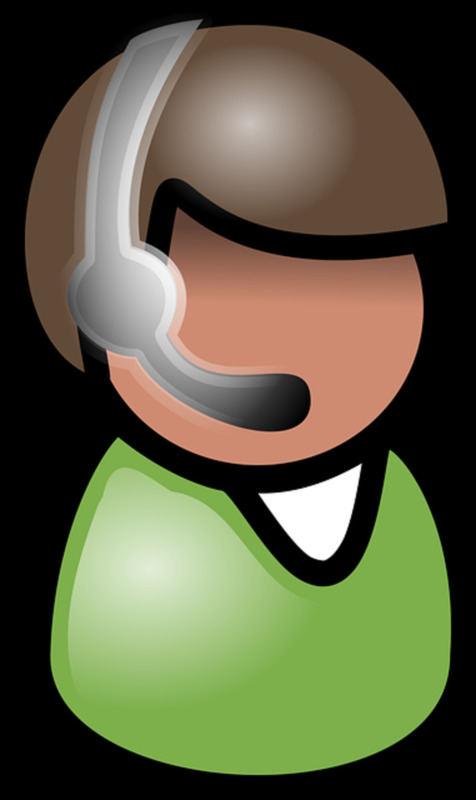 You are most welcome for the information and thank you for the Up and more. Dear drbj, only you can spin a short history of shorts with such verve and variety. My own collection of bun huggers range from from Denim cut offs to comfy cotton cargoes. I do love a pair of Daisy Dukes on a suitable Daisy... I am amazed at your depth and breadth of analysis on this subject. Awesome, as always. You have a unique way with words and this article is living proof. I was about to watch my Saturday morning cartoons and remembered that you'd written a new hub on shorts. It was toss up between the shorts and the cartoons. You won of course. What a fun and educational hub on shorts. A commercial just came into my head as I was getting to the end of your hub. Not sure if you've seen it .... it's a commercial for Nair ... If you dare wear short shorts, Nair for short shorts ... Okay that's all for now. Have a great Weekend and hope you had a good Birthday this past week. Wow! I did not know that there are many kinds of shorts. I like it when men wear knickers during sports time, lol. Imagine if they wear womens´ knickers. hahaha...You made me laugh today drbj. Thanks for sharing this very informative hub. Voted up and more. I live all year round in em, making me an expert on this subject, or so I thought, until I realized you knew much more about em !!!! Great post, drbj! Hi, tipoague. Nice to meet you and thanks for finding this interesting and awesome. So many types and kinds of shorts - who knew? Delighted you enjoyed the pictures. Me, too. Isn't it amazing how lice have survived for over 170,000 years now. But insects have always been a sturdy species. And speaking of sturdy, Grogg sends his regards. The Daisy Dukes and other hot pants have been a wonderful invention for gals to wear and guys to observe. 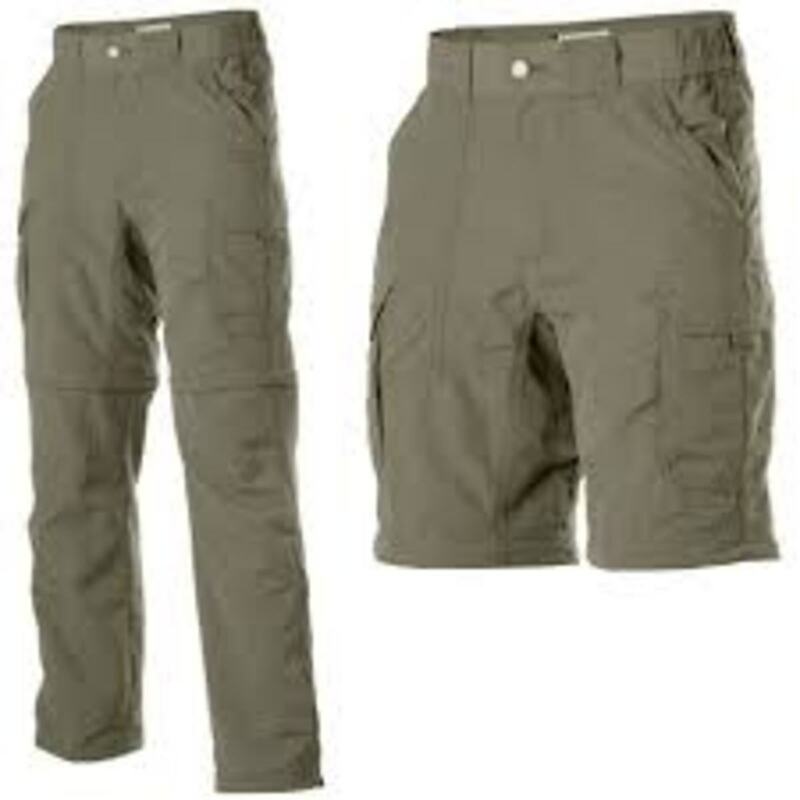 You are right about cargo pants - carry too much stuff in the numerous pockets and you cannot look svelte. No matter what. Thanks for finding this mahvelous and the up 'n awe. So sorry, Sandy, that I creeped you out with the lice. I'm not fond of those buggy creatures myself but acuracy prevails. Thanks for finding this history of shorts amazing. My research enlightened me, too. Hi, tillsontitan. Excuse the redundancy above but lately many of my comments get repeated even when I am responding to the next commenter. Sorry. Yes, I threw in lice and Lederhosen and Raquel Welch as eye candy for good measure. Thanks for the Up, useful, funny and awesome, and the sharing. You covered the bases, m'dear. Hi, Dolores - I wear my shorts around the house, too, especially when it's warm weather. Interesting observation about old knees, m'dear. They age just like all the other body parts but at least they don't fall! Much! Hi, beingwell, what a pleasant, positive profile name. 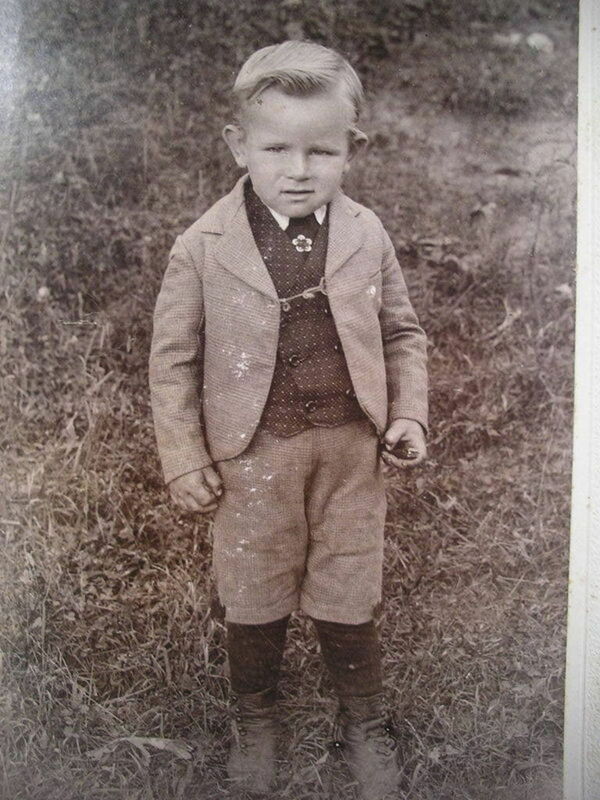 Oh, yes, shorts do go way back (to the 1890s for lil boys). And they are still very popular worldwide. Thanks for the 'impressive research' comment. You might also enjoy my hubs on the History of the Tshirt and Levi Jeans hubs - see links above. Hi, Rolly, so nice to meet you here. So happy we both have a mutual love of shorts - summer and winter. Though most of mine are so grungy I wear them only when I am indoors. Not grungy dirty, of course, just grungy-looking. And cut-off jeans ARE the best! So are you . . . eh? Loved your first line, Audrey: 'In short, this is an award-winning hub.' Delighted you appreciated my shorts 'masterpiece' and that you laughed, learned and loved it.' What an outstanding comment! And then you followed up with sublime adjectives like 'refreshing and unique'. And OMG, 'talent.' I am your forever fan/friend, too. And thanks for the up and across and sharing. With the 'whole world?' Wow! What an interesting hub. Like the others here, I didn't realize there were so many different types of shorts, some with some entertaining names too. Great job! The pictures were worth a thousand words! Awesome! So thats where the hula skirt came from, the first mother herself, should have known. The new study is intriguing with the clothes lice since 170,000 years ago is around the time anatomically modern humans came on the scene, perhaps we have a fairly firm date on that now, when modern folk showed up that is. Hey drbj, it was great to see a camo return by Grogg btw. Lets see, oh yea, women sure have come a long way in the last hundred years or so- imagine, from arrested for shorts to Daisy Dukes! The new cargo pants are ok but darn if u put stuff in them you look- well, bulgy. Anyway, mahvelous hub, i'd of been on it sooner but didn't see on the e-mail for some reason. Up n awe drbj! You come up with the most amazing things. Never thought of the history of shorts before. Well done. Except I still feel creeped out with the lice. Shorts...one word, one 'pair of pants' that you've turned into a hilarious and informative hub. It appears you haven't left out anything including lice and Lederhosen! EVERYONE need to read this to brighten up their day. Voted up, useful, funny, and awesome. Oh and shared so others can smile too! Hi drbj - nothing like shorts on a hot day! But these days, I only wear them around the house. As women age, the legs may still look good, but there is just something about knees that don't hold up to the years! In short, this is an award-winning hub:) Seriously, no one and I do mean NO ONE but you my friend could write such a masterpiece on shorts. I laughed, learned and loved it all. Thanks for appreciating my somewhat offbeat verse, Nell. 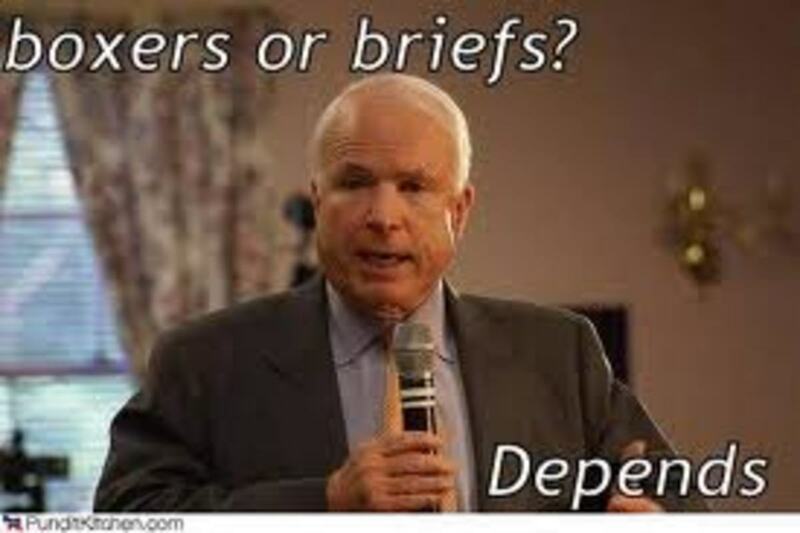 Since I knew you were British, I thought you especially would appreciate the knickers allusion. Delighted I gave you some laughs and some knickerful info. Cheers, m'dear. I'm not surprised, Colin, that you possess the sexiest legs in Hubpages since you often publish the sexiest epigrams known to man - and woman. Thank you for your sublime comments - I do treasure them, you know. Class, style and wit? Who could ask for anything more? It has been my pleasure to support you and it is the greatest compliment to me to know that you appreciate it. We'll keep each other going, eh? So this is the 'shortest' hub I've ever done? I got it! Very funny, m'dear. Me, too, Sharon. I had no idea there were so many different versions and lengths of shorts until I did the research. Delighted you found this entertaining and humorous. 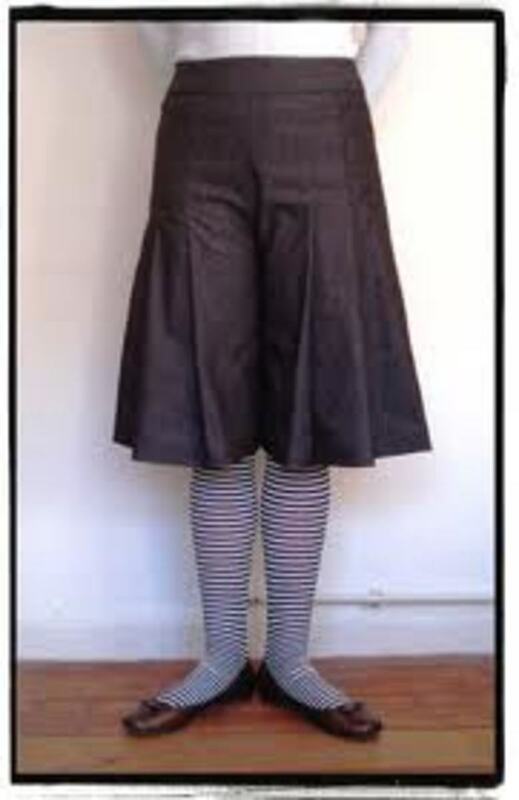 Culottes are still around - they are a very ladylike mode of dress. So you have been known to wear tight shorts underneath a dress? Your secret, m'dear, is safe with me. What a lovely compliment, christopher. My 'hubs are treasures.' Happy my 'witty' presentation gave you so much information. The pleasure was all mine, m'dear. Hi, Holle, the oustanding recipe lady. Thanks for loving this hub and the photos and the Up. Thanks for the Wow, too. Thanks for enjoying this 'cradle to grave' history of shorts, b. I remember that Short Shorts song and do you know how many times the phrase, 'short shorts,' was used? 57 times! Thanks, m'dear, for the A, your votes and the Up. Delighted you enjoyed my impeccable research. Thank you, dear Becky, for noticing. Yes, the HP powers chastised my selection of those funny OMG photos of overweight people in much too short shorts. I had to take them down - even the hulk in the 'bun huggers.' But like you, I did find them fun. Some men look great in shorts, Don. And some, not so much. The same goes for women but we do love our shorts for summer wear even if we are not athletically inclined. Thank you, my friend for your visit, tale of Minnesota winterwear, up votes and sharing. The wearing of knickers on the golf course.!! I've got the sexiest legs in all of Hubpages and the reason I always wear shorts - and you've got the best hubs of all Hub-time - you are a legend of class, style and wit - and I hope sincerely when they send a time capsule into another galaxy to represent hubpages - they include all of your hubs - you have supported me through thick and through thin and it doesen't get any better than that my friend - you keep me going - I hope I keep you going too - and this is the 'shortest' hub you've ever done - get it - ha ha ha - I am trying to be punny like you - did it work? Oh my this was entertaining. I would have never guessed all these different "shorts." Of course I've heard of most of them, seen many of them, and worn some of them. I admit my favorite (when they were IN) were Culottes. Nowadays, I wish I could wear shorts all year long as my garment of choice. I have been known, even more recently, to wear "tight" shorts under a dress. Okay, think I've said enough. I enjoyed this hub and all the research (and humor) put into it Dr. BJ! And how I love that song - Short Shorts. May I never-ever see living lice in my life. Those ugly monsters will certainly give me a fatal heart attack. And yet, I know, they are everywhere. Mite, too small for the eyes to see, living inter alia in dust.... How many have I swallowed since the day I was born? The mere thought gives me palpitation. You give us so much really information and present it in a very witty style as well. Your hubs are treasures. Thank you. Wow...who knew? Loved the hub AND the pics. Voted up! Too funny! This was Fun Drbj. Shorts from Cradle, to Grave... (how morbid of me) we could be decked out in Shorts! I Love the History of Shorts, and could so relate, Short shorts, Hot Pants...Oh Yeah! Well I'd give you an "A" for this Hub and your thorough Research. I also Enjoyed looking at the Video and hearing that Great Song, "Short, Shorts" once again. And so, My Votes of UP & Interesting and Funny go to you! I see you changed your pictures. What happened, the censors get to it? Too bad, I like some of the other pictures. 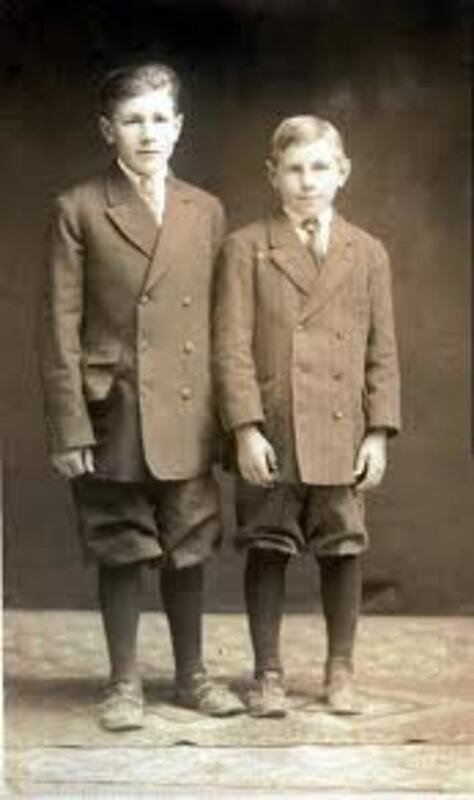 Interesting review of social history of short pants. 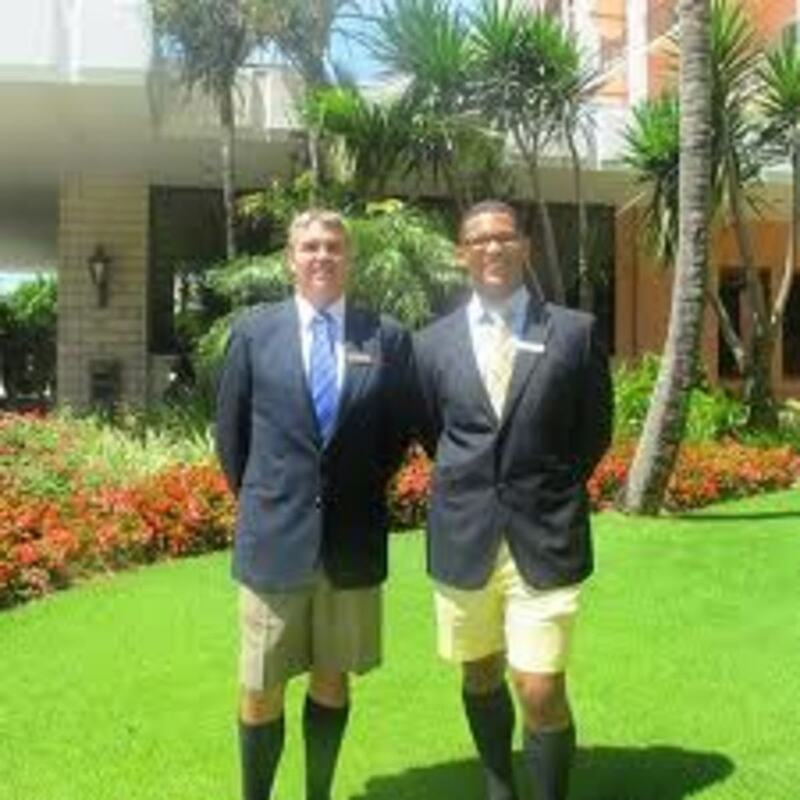 Generally speaking I do not think most men look good in shorts, including myself. I would only wear them for the beach and sports. This may be generational, although I have friends my age who love to wear them. My brother wont wear them because they were the things that we were forced to wear as children and it was a sign of growing up to be able to wear long pants. Back in the mid-fifties when I got out of high school burmuda shorts with long stockings were the fad with young women. They even wore them in the winter. If you know Minnesota winters, that was brave. Like anything else shorts should be worn with a sense of individual style and taste. up votes and sharing. I can see, Becky, that you appreciate the finer things in life like the cute guy in the bun huggers (what a great name for underwear)! I am hoping that the woman in the final OMG photo was wearing some type of outerwear, but I couldn't swear to it. Just like you, I have no right to criticize the models but I can critique their choice of shorts or whatever. In fact, I added a disclaimer with that statement. Just in case! Ah, Debbie, as a shorts-lover, you are a kindred soul. Thank you, m'dear, for the visit, the Up vote, and the sharing. Me, too, Victoria, I always thought shorts were shorts, but I learned there are a myriad of choices when it comes to that particular item of clothing. Thanks for your kind comments and loving the OMG photos. Beautiful hub on shorts. I kind of liked the look of OMG#2, the rest were enough to make me gag. Was #6 wearing ANYTHING on the bottom? It sure doesn't look like it. I see a lot of the overstuffed and not enough cloth shorts on heavy women in this area. I wonder if it is all over and sincerely hope not. It is bad enough to just have it here. The pants aren't high enough either. Muffin top abounds and it ain't pretty. Oh, in case you were wondering, I am not criticizing the weight on these people, I am not thin either; I am criticizing their taste. I have always love shorts.. especially with good legs to look at.. lol.. love your hub on shorts.. and I agree with Victoria I didn't realize there were so many kind of shorts..